Sofa and the City readers will know that I often pop off on a mini adventure, if you are new here you will soon realise that I am away a lot (so far this year we have been to Tenerife, Malaysia and Italy). I know – spoilt cow. Travel is our soul food, our shared experience, our absolute favourite thing to do together. Exploring the world (whether that be long-haul or in this country) and seeing some of the amazing sights on offer, sampling local delicacies, and learning about different ways of life is our idea of adventure. But as ‘we’ are not loaded, we are always finding ways to do more trips for less and this time Husband – otherwise known as Travel Director – has challenged me to TWO weeks HAND LUGGAGE ONLY. Yup. We do hand luggage only all the time – I have become a professional hand luggage only traveller; I am a capsule wardrobe goddess. However, I think a week is my record so far. But hey what’s another week? Oh and this trip includes a hot air balloon ride and I’m afraid of heights; and beaches, which my muffin top is not ready to be exposed on. It is just one challenge after another. But as a Peaceful Warrior I take it all in my stride. Jealous! Have a great time. Me and my boyf love traveling too so make sure you share some of your photos and experiences. wow that is some picture! Don’t mean to sound dumb or anything…… is it a church? Have a fab time or if you are back hope you had a fab time! We had a wonderful time thank you (there are more pictures in my latest post: Planes, Trains and Hot Air Balloons). You are not dumb – I promise! 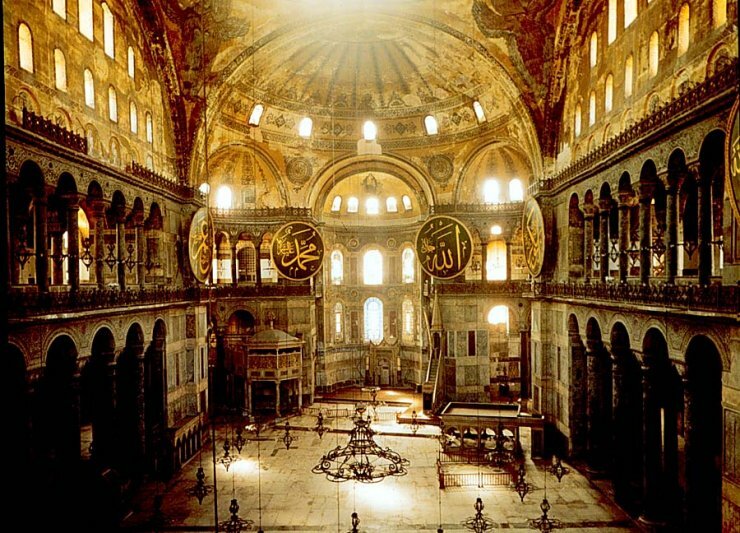 The picture is of Aya Sofia, famous for its massive dome ceiling. It is now a museum, but it has lived as a mosque and a church (from the date of its dedication in 360 until 1453, it served as a cathedral, then it was converted into a mosque).